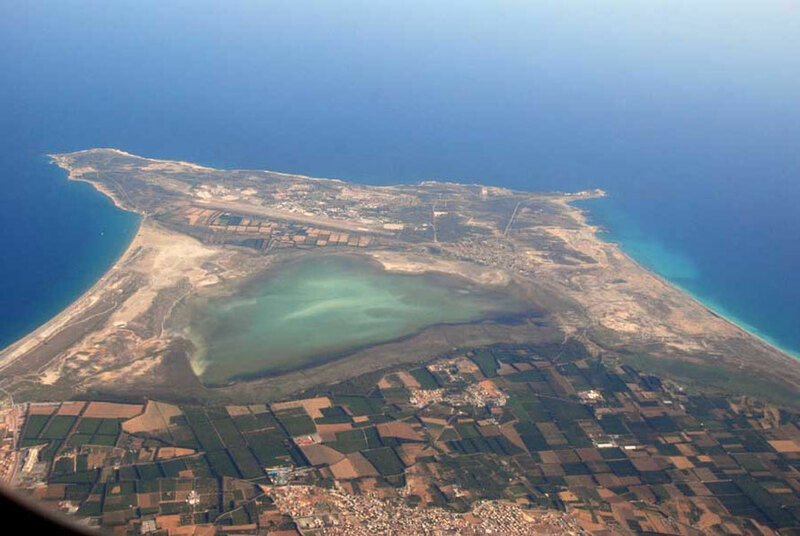 The British Sovereign Base Areas of Akrotiri, Episkopi Garrison and Dhekelia are a British Overseas Territory with an Administrator (rather than a Governor) responsible to the Ministry of Defence (rather than the Foreign and Commonwealth Office). They were created in 1960 under the Treaty of Establishment when Cyprus achieved independence from the British Empire. The SBAs include 15 retained sites across the South of the island including the RAF/NATO domes on Mount Olympos and Cape Greko and a disused artillery range on the Akamas peninsula. They SBAs constitute 2502 km of land, 20% of which is owned by the MOD, 20% by the Crown and 60% privately as farmland. 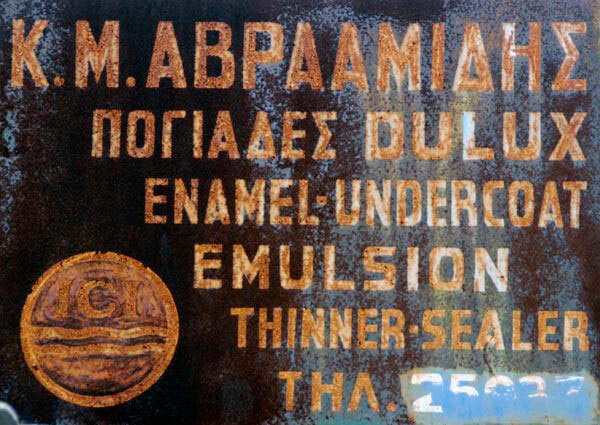 3,500 British Forces Cyprus are stationed on the SBAs. And a total of around 14,000 people live in the bases of whom approximately 7,000 are Cypriots who either work in the bases themselves, or on farmland within their boundaries while the British military and their families make up the rest of the population. Operation Tosca is the the name of the UK contribution to the UNFICYP. Currently the British Contingent is 278 personnel and is not part of British Forces Cyprus but instead under the direct command of the UN. The British High Commission estimates that there are 110,000 British citizens living on the island, either on a part-time (70,000) or permanant (40,000) basis. Of these 110,000 50% have dual Cyprus/UK nationality and 50% UK only.The majority of British-only residents live in Paphos and Larnaca/Agia Napa districts. The Cyprus Rough Guide (2009) suggests EOKA, the Greek Cypriot guerilla force actually killed more leftist Greek Cypriots than Turkish Cypriots of any political persuasion. British deaths were also considerable – a total of 371 British soldiers died during the campaign – nearly half being 20 years of age or under (i.e. the majority were on National Service). Some of the deaths were accidental – such as RAF planes crashing on take off (although others attest to EOKA sabotage and bombs on planes – see Victor Freeman) and a major loss of life was due to a forest fire above Paphos during Operation Lucky Alphonse. David Carter – a British veteran of the Emergency - claims that ‘the self-styled General George Grivas, a retired Greek Army colonel… had tied down 40,000 British troops and killed ninety-nine’ during the emergency. The British dead now poignantly lie in a British Military graveyard at Wayne’s Keep in the buffer zone two and a half miles west of Nicosia. For a full list of the 371 British Servicemen killed in the ‘Cyprus Emergency 1955-59’ see the British Cyprus Memorial in The Old British Cemetery in Kyrenia unveiled in 2009. There are 582 graves in the Wayne’s Keep cemetery. Martin Bell, of the BBC and one-time MP, gives a telling account of being on National Service and sent to Cyprus aged 18 with the Suffolk Regiment. I didn't have a single clue about the politics of it all, had no understanding whatsoever. We had hardly anything to do with the local people. Says Bell, The present problems of Cyprus are not, I think, the direct result of our colonial occupation, if you want to call it that, or the ownership of the Island. The problems are caused by the way we left and failure to deliver on our guarantees. There's no excuse for that, none whatsoever and, of course, we got our military bases. At the time I accepted that we were in Cyprus to perform a counter terrorist operation. It didn't bother me. In particular it is argued that the bases are situated in a region of geo-political importance; that they provide an adaptable and capable Forward Mounting Base as evidenced in the Libya and Afghanistan campaigns; that they will make a significant contribution to the drawdown of troops and materiel from Afghanistan whilst also making a substantial contribution to the Armed Forces training facilities (see Cyprus Mail July 4, 2012). Cyprus hosts 59,000 Britons living there for at least a year, plus another 6,000 who are there part-year. The aggregate figure, 65,000, places Cyprus in tenth place for Britons resident abroad. the more numerous adaptors - the lifestyle migrants which comprises people who enjoy their active lifestyle and do walking, bird-watching, golf, swimming, amateur dramatics and charitable work; "but only in the company of other ‘Brits’"